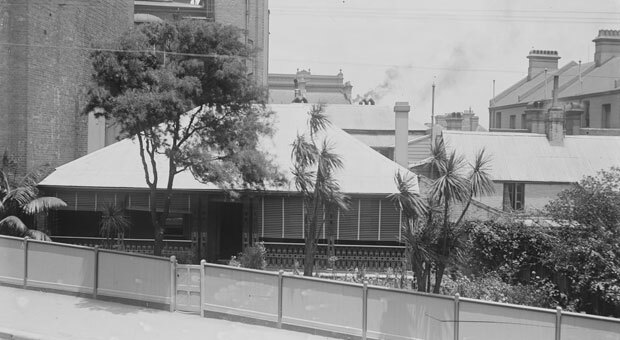 From the 1820s to the 1920s, a red brick cottage existed on Bent Street between Macquarie and Phillip streets. The house was built by the family of Francis and Frances Cox. From the 1850s until the 1890s it was occupied by their daughter Henrietta (1812–92) and her husband Richard Hill (1810-95). Richard was one of three brothers who were born in the early 1800s in Sydney to convict parents. All three grew up hunting and fishing with local Aboriginal people, and maintained these relationships throughout their lives in different ways. Richard Hill managed the Vaucluse Estate of his brother-in-law, William Charles Wentworth in the 1840s and 1850s, and was said to have been rowed from there to his orangery on the Lane Cove River by Aboriginal people. In the early 1850s, he moved into the Bent Street house with his wife Henrietta, which was to be his main abode for the rest of his life. 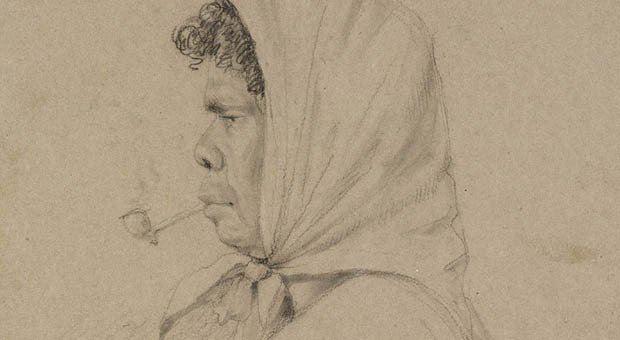 An Aboriginal boy named Billy Malone worked for Hill around that time, and he later described how an (unnamed) Aboriginal woman had lived with him for 34 years. In the late-1870s Aboriginal couple Emma and George Timbery, who had established a fishing village at La Perouse on Botany Bay, also worked at his Bent Street house. 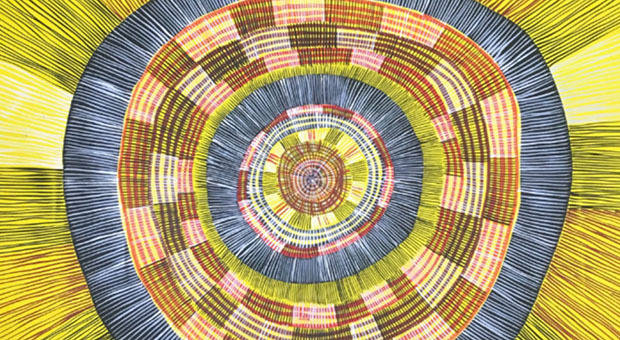 For several decades up until the late-1870s, the NSW Government did little to assist Aboriginal people, but by this time there was growing religious and political pressure for them to act. Richard Hill was a prominent member of the Aborigines Protection Association, which was formed in 1880 by missionary Daniel Matthews to raise funds for the Maloga and Warengesda Aboriginal Missions in south-western NSW. 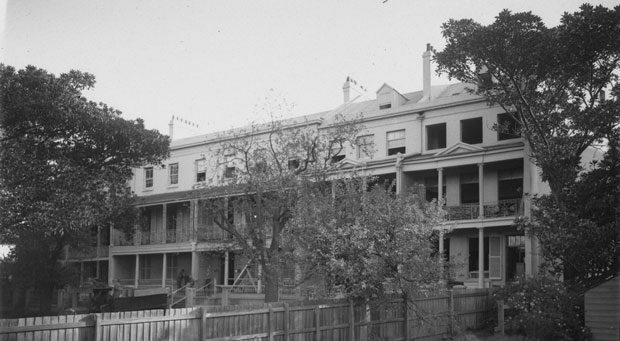 Matthews stayed with Hill at Bent Street when visiting Sydney on fundraising trips. On one visit in the winter of 1881 he managed to persuade 25 Aboriginal people living around Sydney to accompany him back to the Maloga Mission on the Murray River, after the government shut down an Aboriginal settlement at the Circular Quay government boatshed. The evening before they left, Matthews brought them all to Hill’s Bent Street house, where a ‘fire, plenty of food and blankets’ awaited in his yard. Two people had second thoughts overnight and took off, but the remaining 23 left with Matthews the next day by train, some never to return. Hill kept in regular contact with the Timberys at La Perouse, and he and his son regularly took supplies out to the Aboriginal people there. In 1883 Hill became chairman of the government’s newly formed Aborigines Protection Board. Over the next 12 years, he rarely missed the board’s weekly meetings, which took place just around the corner from his house. Whenever issues regarding La Perouse came up, Hill would volunteer to visit the settlement and deal with the matter personally. When Hill died in 1895 Aboriginal men from La Perouse travelled into the city to see if the news was true. 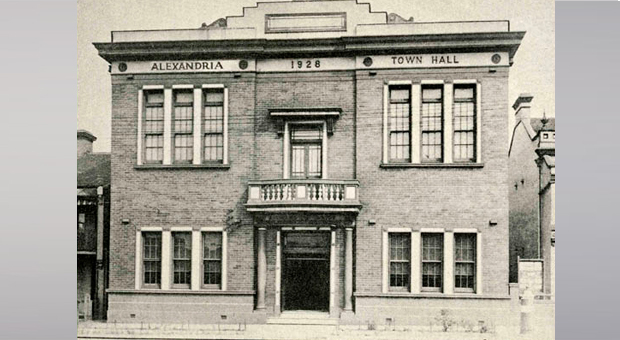 The Bent Street house remained with Hill’s daughter, Laura, until it was demolished in 1925. It is possible that Aboriginal people continued to visit the house during that time, as some of Hill’s children continued to have relationships with Aboriginal people at La Perouse.